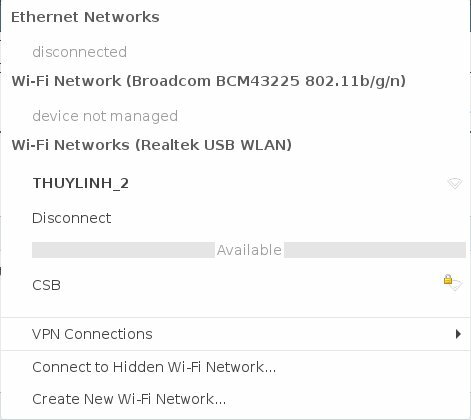 With my exprienced, it does seem happen to Wired and Wireless Network Interfaces. As you see, my wireless card has been listed in unmanaged-devices section. That’s why the NetworkManager applet icon on the system tray told me that it was “device not managed”. The solution is very simple, just comment that line or delete it from /etc/network/interfaces then restart NetworkManager service to re-enable and see it back. Depended on your Linux distro, you may find these string in /etc/network/interfaces instead your device’s name.